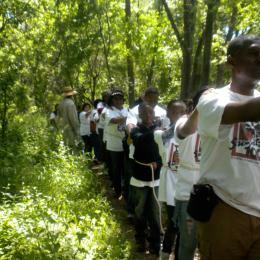 In the Beginning…Virginia, Along the Trail of Enslaved Africans & Other Notable Sites. Journey into Richmond’s history to visit the sites where few monuments exist. These newly marked sites tell the other half of the story; the story that lives between the pages of history books — in red, white and black. 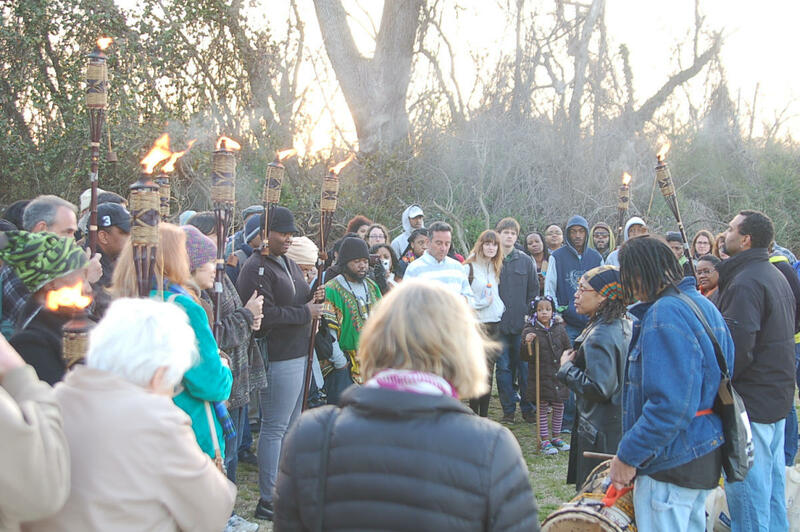 An interactive experience along the Trail of Enslaved Africans, attendees have the chance to ponder the impact of enslavement on the enslaved as shared in their own words and from their own view. Embarking by bus after a contextual visit to the Society’s cultural center, participants will walk in our ancestors’ footsteps from their arrival point at river’s edge into Shockoe Bottom, the area of Richmond that housed the holding pens, jails, blocks and burial ground. The interpreters will interweave the narratives of enslaved Africans with the historical record, characterizations of the day and music. Disembarking from the bus or along the walk, participants will have the chance to immerse themselves in past occurrences that impact our perspectives today. 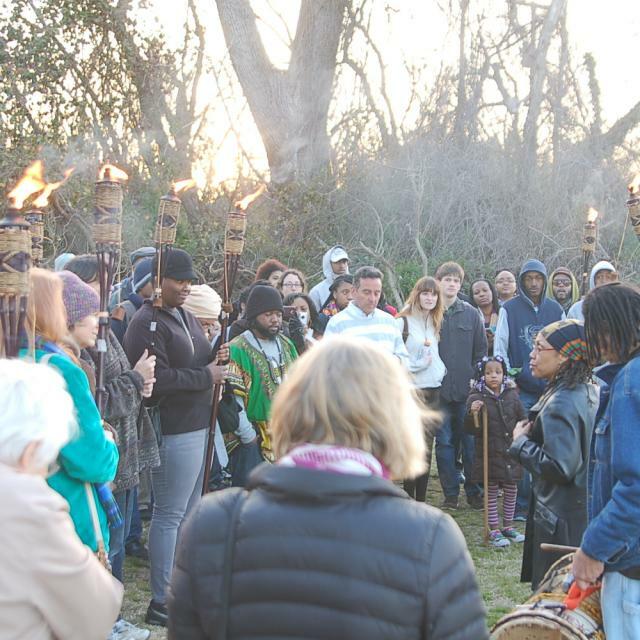 In additional tour experiences, learn about the African presence in the Civil War, visit Historic Jackson Ward Richmond’s first professional African American residential and business district. De-board at notable sites. Take in "Our Souls Live Here" to visit sites of African American memory. Learn the stories of the black architects who created lasting testaments of our presence. Meet those who lived and worked inside, getting a glimpse of the times, of biography and social life.